This is the commands page for the Wiki of NameCosmetics. Lost? Go back to NameCosmetics' resource page. Executing the /namecolor command opens up the Name Color Selector. See NameCosmetics' Name Color Selector from the Name Color Selector Wiki. 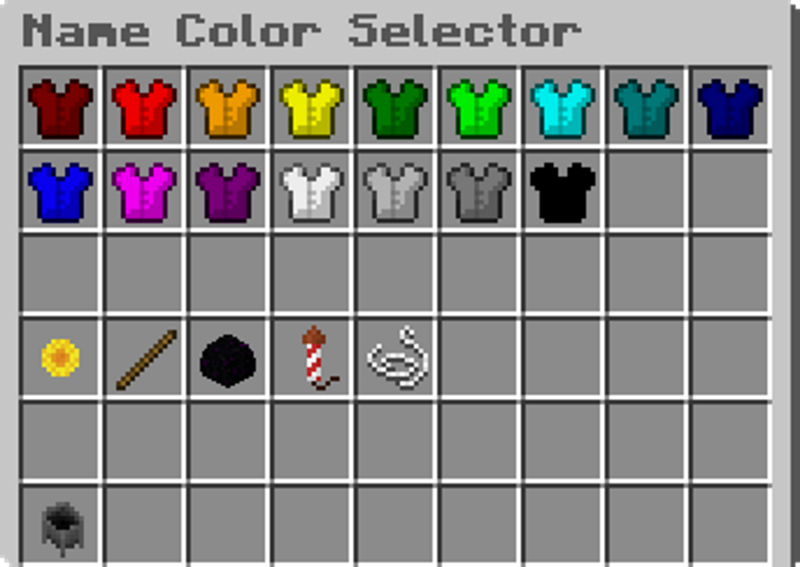 Executing the /namecolor <player> command opens up the Name Color Selector on behalf of a player. See NameCosmetics' Name Color Selector from the Name Color Selector Wiki. Executing the /namecolor <code> command sets your name color. See NameCosmetics' color and format codes from the Colors and Formats Wiki. 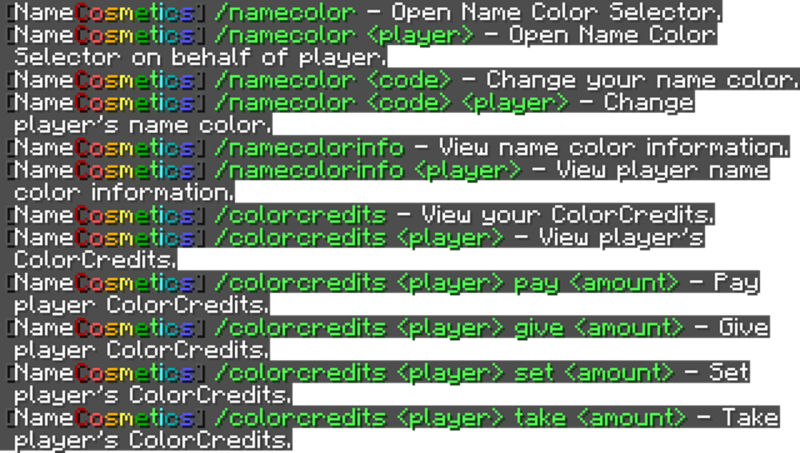 Executing the /namecolor <code> <player> command sets a player's name color. See NameCosmetics' color and format codes from the Colors and Formats Wiki. Executing the /namecosmetics help command views the in-game guide. Executing the /namecosmetics reload command reloads NameCosmetics' words.yml, config.yml, and messages.yml files. Executing the /namecosmetics command views your version of NameCosmetics. Go back to NameCosmetics' resource page.